Bungalows at Drake Bay, Osa Peninsula. 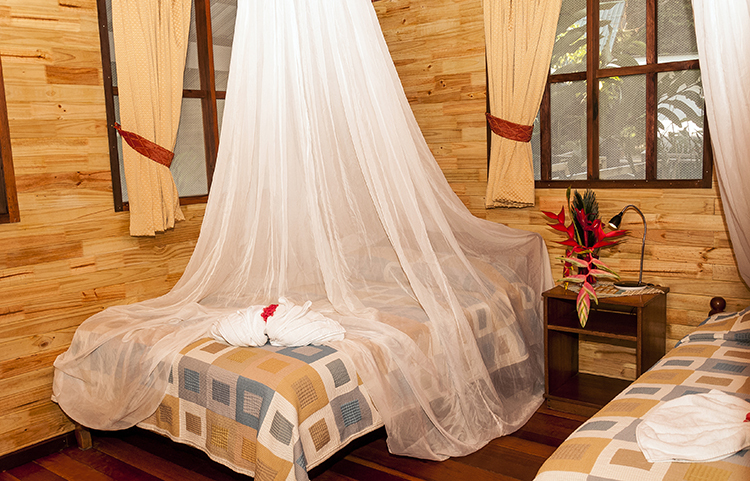 Nature, Wildlife and Eco-Tourism at Pirate Cove Hotel. 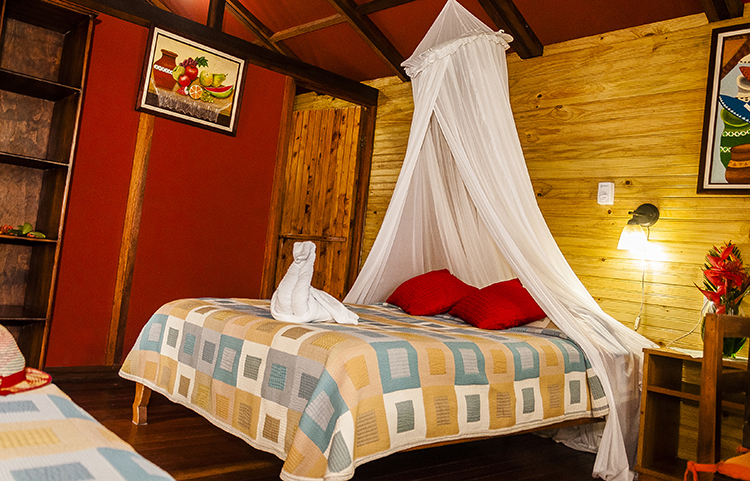 Want to live the full wildlife experience in Costa Rica? 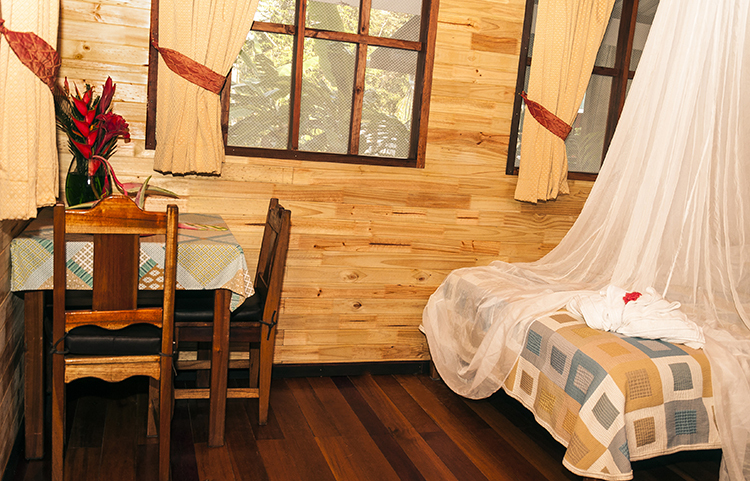 Our cozy bungalows will make you feel closer to nature than ever. 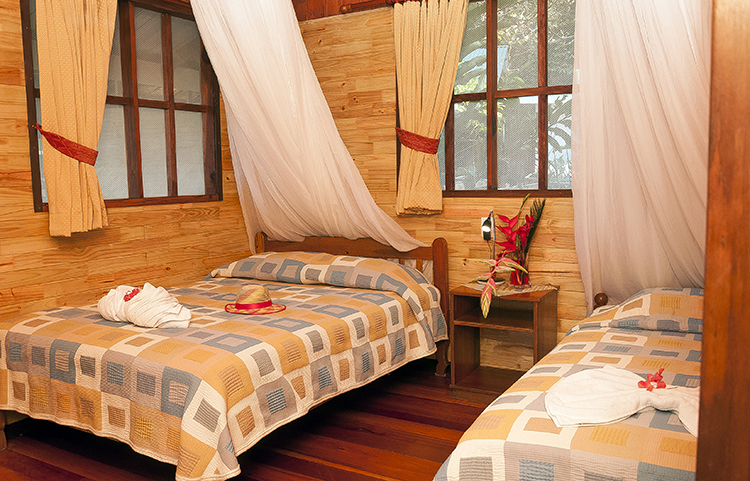 We have two bungalows with one double bed and two single beds and two bungalows with one double bed and one single bed. The outer walls are made of a very sturdy fabric, but instead of tent flaps each bungalow has a door and screened windows. Inside all walls are panelled with pine and the floors are of polished local wood. All have private bathrooms with hot water showers and there are ceiling fans. 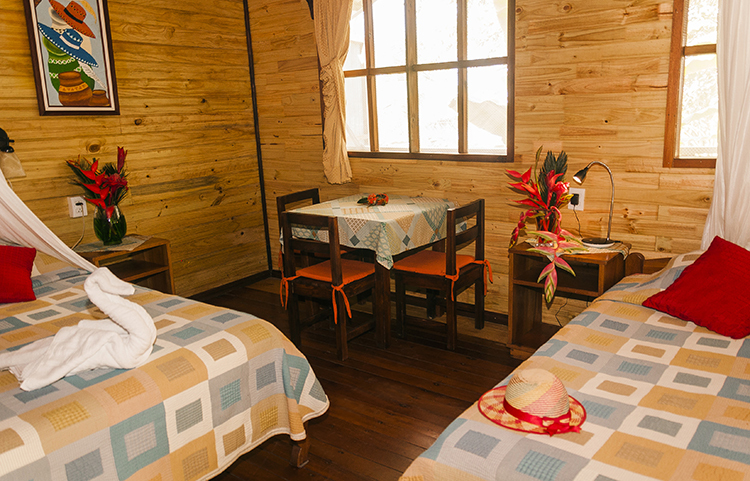 These rooms do not have air conditioning but most of our guests find them pleasant as often there is a nice sea breeze. Outside is a small balcony with a hammock so you can enjoy your own private view of our deserted beaches and the Pacific ocean a few meters distant. Colorful wildlife including scarlet macaws, toucans, iguanas and other tropical creatures passing by will help you forget the ordinary stress of modern life. Each bungalow contains one double and one single bed, all with orthopaedic matresses. Upon request we can fit in another single bed for those families who want to be together and don’t mind being close to each other.